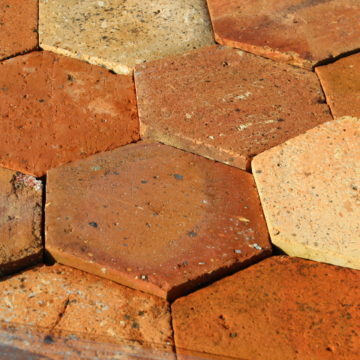 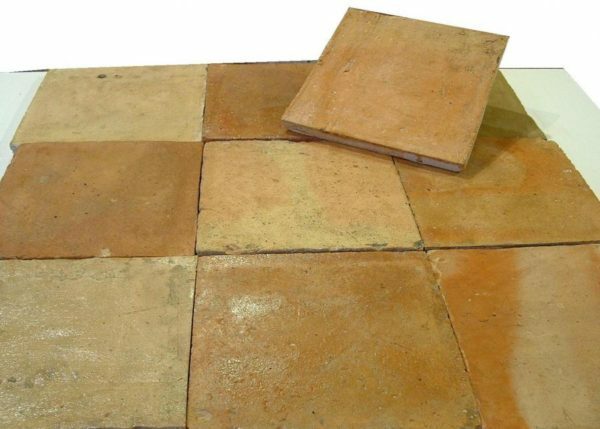 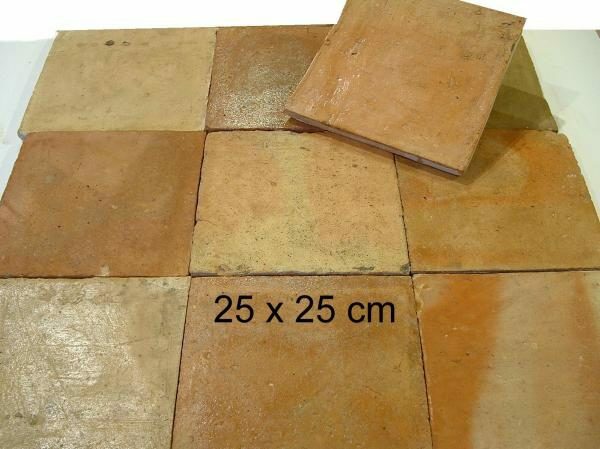 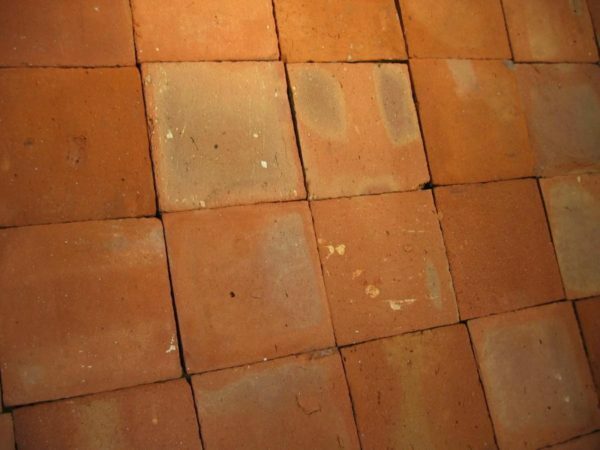 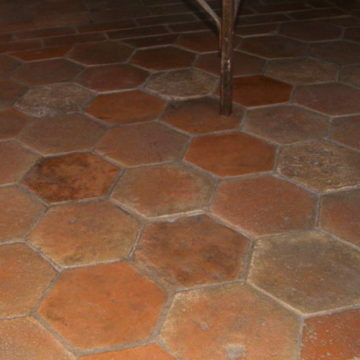 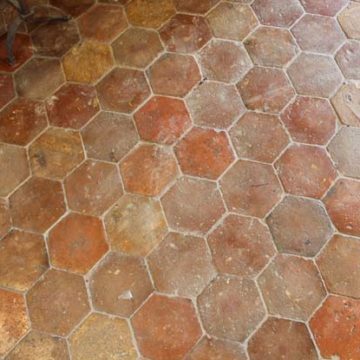 Antique reclaimed terracotta (fired earth) tiles in light beige-salmon tones, or redder color blend, depending on available stocks. 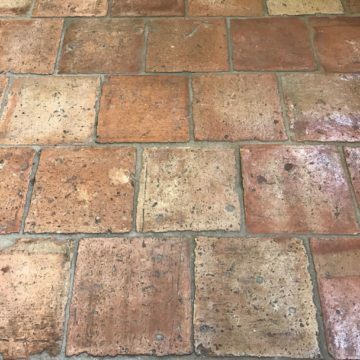 Cleaned and ready to re-install. Format 25 x 25cm approx (approx 10×10 inches). 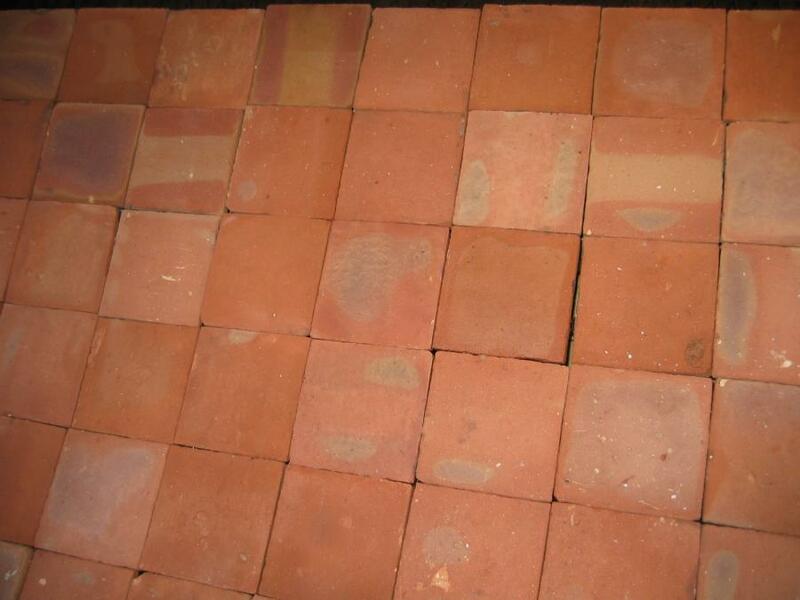 Antique reclaimed building materials, architectural salvage, salvaged French terracotta tiles.